Could 2016 be the Year for Native U.S. Orchids? Today was a cool day here, with Pittsburgh highs hovering around 51 degrees Fahrenheit. During the day, I poured through Israeli wildflower field guides, searching for which of their natives orchids will be in bloom next February to March ’16. A friend confirmed that searching and finding Protected Israeli orchids would be . . . you fill in the word. Butterflies and orchids, Oh, I can only dream. 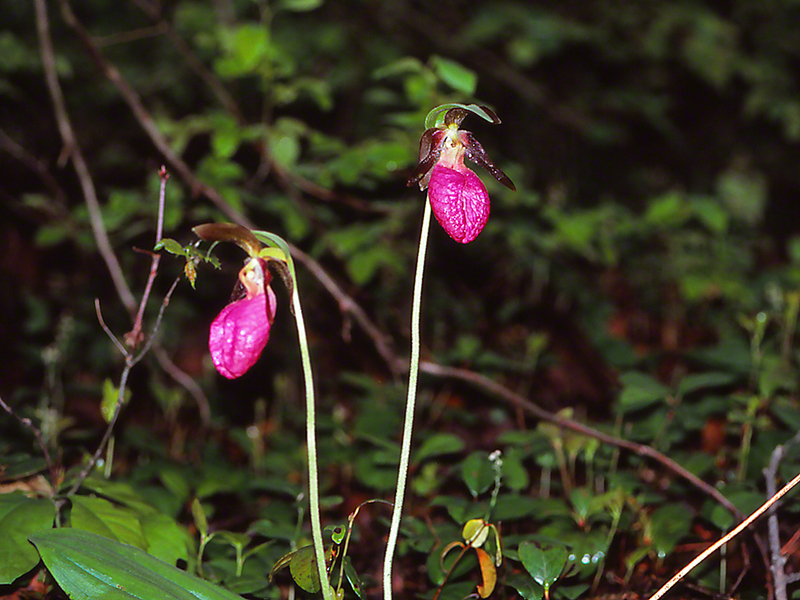 These Pink Lady Slipper blooms graced a tiny clearing in the woods in Chapman State Park, tucked into the Allegheny National Forest in northwestern Pennsylvania, U.S.A. Sweet they were, delicate, shy, awash in color, and just there, like the finest porcelain, for all to share. I will shovel my way through the snows of 2016, anticipating the search for Showy Lady’s Slipper (Cypripedium Reginae) in northwestern New York state, Georgia orchids if a certain expert there can find the time, and, w/o a guide, but with much gusto, Israeli orchids, including Drone Bee-Orchid (Ophrys Holosericea), Carmel Bee-Orchid (Ophrys Umbilicata), Bee Orchid (Ophrys Apifera), Tawny Bee-Orchid (Ophrys Fleischmannii), Anatolian Orchid (Orchis Anatolica), Loose-Flowered Orchid (Orchis Laxiflora), Pink Butterfly Orchid (Orchis Papilionacea) and Toothed Orchid (Orchis Tridentate). Well, there’s actually one more on my bucket list, if you’re still there, Galilee Orchid. All of these orchids are rare. All are knockout gorgeous. All exist only in sylvan habitat, always with equally beautiful butterflies nearby. Wish me luck, No? Jeff . . . Orchid amateur. I thought I’d Share . . . This trail looked sooo promising. But, the border with Lebanon is not a benign boundary. 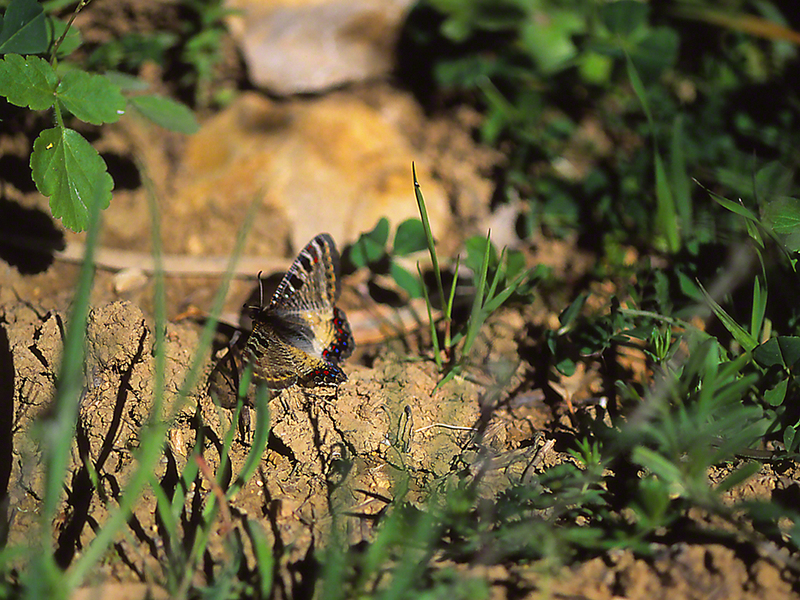 Almost every minute on these Upper Galilee trails brought fresh, exciting butterflies. The temptation to think like a teenager quickly teased my thinking, i.e., What can really happen if I go some 200 feet past this Warning sign? Well, among other possibilities, violating this warning, and seeing a rare butterfly on that March 2015 day, could lead me a few steps off trail, to . . . a land mine! Or a kidnapping into the hands of Hezbollah. What’s a grown-up kid from Pittsburgh, ne’ Brooklyn worth? Brings to mind the Ransom of Red Chief, ’cause I’d be a lousy hostage. I didn’t go past it. I’d been shooting butterflies since I arrived in the area, and had done well, with lots of images of those Protected Israeli Parnassians, Allancastria Cerisyi Speciosa. 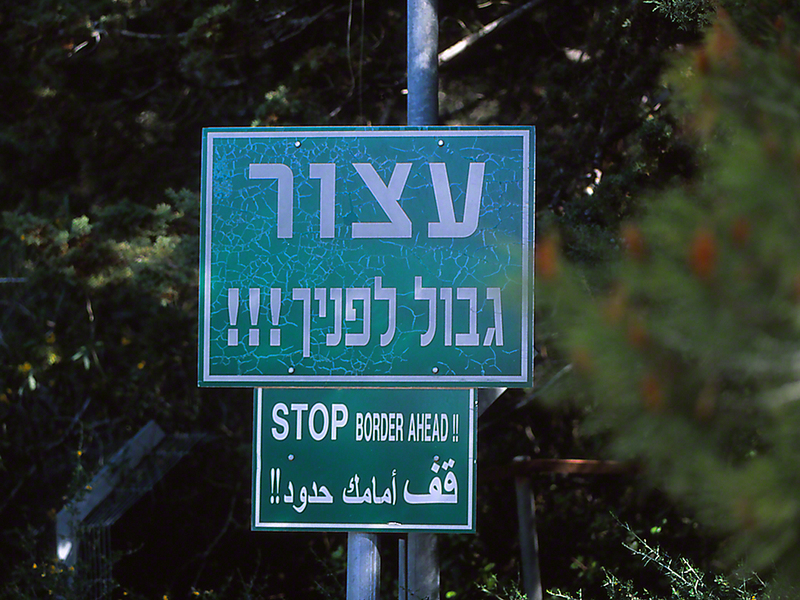 Truth be told, I don’t speed, avoid narrow mountain roads, and am wise enough to stop at border signs, warning that a hot border is just ahead. Some butterflies live a charmed life, flying at belligerent borders and not seeing hikers or photographers, ever. I was visiting my mother-in-law in Sun City West, on the outskirts of Phoenix, Arizona. The sun rises there at about 6 A.M. and I myself must leave the arroyos by 10 A.M. If I linger past 10 A.M., I risk a repeat of the morning that I almost didn’t make it out. This is my usual destination, White Tank Mountains Regional Park, some 35 minutes from her house. Since my first trip to there, many sizable developments have been built, adding thousands of homes to this desert. As I drive through, I often puzzle at where they are drawing their water from, and where they will in the future? The arroyos are bone-dry creek beds, that are wet briefly during the year. You must always be aware, should an instantaneous downpour send water crashing down the arroyo. Blooms are sparse in the arroyo, but there are some, and there are a surprising number of butterflies that come to sip whatever sugary nectar they can locate. 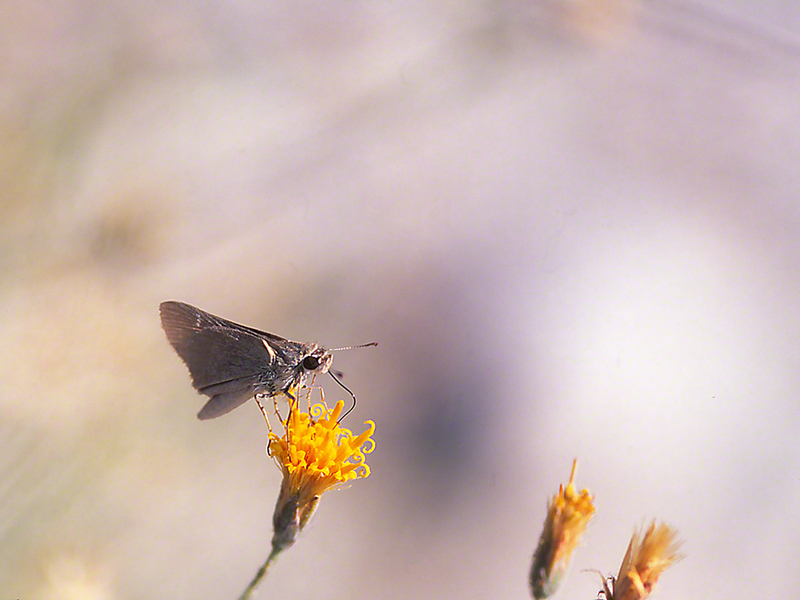 This dusky colored skipper has done well, scoring what must be a nourishing supply of rich carbohydrates. A morning in the arroyo, and then back to swap family news. ⅓ of a Second to Success! I had already found the ‘Protected’ Allancastria cerisyi speciosa butterfly in the extreme northwestern corner of Israel. I love them and have already written and posted about their beauty. Israel also enjoys another swallowtail species, Archon apollinus bellargus, the subject of this post. A. apollinus flies in Northeastern Israel and in Central Israel. On my second drive to the north, I stayed in SPNI Hermon, the Society for the Protection of Nature‘s field house at the foot of Mt. Hermon. Driving up the foothills of Hermon mountain, I turned into the small moshav (village) of Neve Ativ. I parked and worked the meadows around the village. It turned out to be a good plan, with butterflies flying in good numbers. Some of these would be great finds, for Mt. Hermon sports many extra rare butterfly species. I had my eyes open for A. apollinus. Over a period of three hours, I saw three of them. They would not tolerate any approach, each zooming away when I got within 15 feet of them. That compounded my resolve to find and photograph one. On my approach to a small retaining pond, I nearly stepped on this one! It had been sunning itself with wings spread out. Battle stations!! I knew I had something like ⅓ of a second to make my approach, and score macro-images. I moved more quickly than I usually do, smoothly, but quickly. She remained in place. I took one photograph after the other, shooting multiples of 3/camera clicks. She was spectacular, and this image shares much of it, with yellows, blacks, reds, blues and whites artfully displayed. Compliments to the Master! Then the A. apollinus (or False Apollo) zoomed away! I’ve travelled alot this 2015, at least alot for a guy who is kind of reticent to travel to very new places. Me, “the solitary traveler,” makes trips to Georgia, Florida, Western New York, and as seen here, Israel. I’ve met alot of interesting people this year, and surprise, surprise, the topic often moves from finding butterflies to the current nasty state of the U.S., and to . . . Israel. I’m amazed at the number of Christians out there, who share zeal (Yep, zeal) for Israel. I didn’t always, hearing not much about Israel when I was a kid. Now, with good belief underpinnings and a daughter, son-in-law and 2 tiny grandsons there, plus extended family . . . Well, that’s why I visit it year after year. Like U.S. butterflies, Israeli butterflies are beautiful. The other bonus is that Israel is so small, that you can travel north or south in a matter of hours. Butterflies that are found in the Upper Galilee, Golan Heights, Negev, Ein Gedi, or Jerusalem are within a moderate drive from my daughter Rachel’s home. 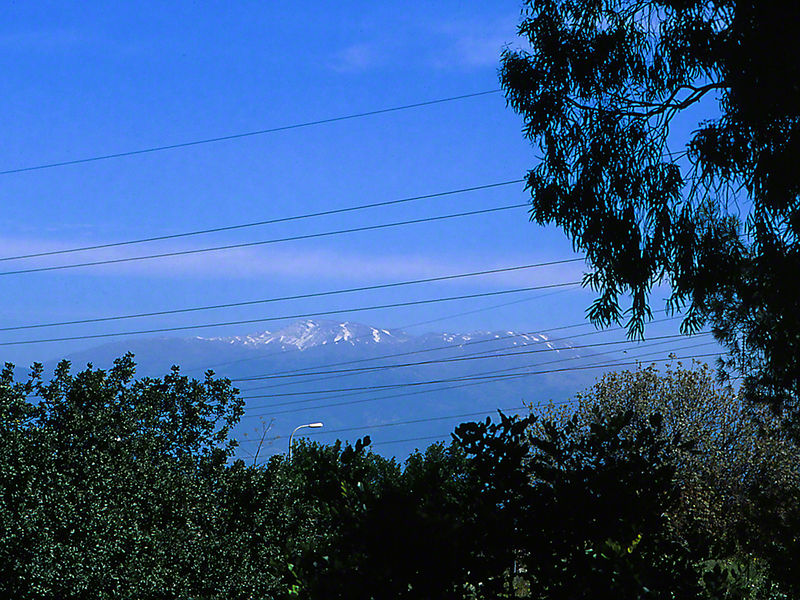 Seen from Qedesh trail, mid-way across Israel’s northern border, Mt. Hermon greets us at the center of the image. At 7,000 feet, that snow you see prevented my going up there to find butterflies. Remember I went to the peak in 2008, and yes, there were super rare butterflies flying up there. it was a Wow! experience for me, the widow who months before lost the mother of my children. Though the airfare rates on El Al are OMG! low today (The problem! has emptied the shops and hotels), I still have yet to convince a single Christian to get up and go there. That despite my recounting the crush at Ben Gurion airport, with thousands of Christians coming and going, mostly in groups, from Slovenia, Uzbekistan, Bolivia, Canada and Tanzania. So, for a quickie HolyLand Lesson, we are standing on this verdant trail and looking due north. Directly on the other side of Hermon mountain is Syria, where tens of thousands of crazed and desperate men are killing one another. To the left, beyond Hermon is Lebanon, that once beautiful country that is buried deep now in Hezbollah, another killer franchise. Somewhat to the sharp right is Jordan, armed to the hip, but with a very resolute leader, keeping all working nicely. Directly south of us, to our back is Jerusalem. On the way to Jerusalem, are many stops that you learned about in Sunday school. Also behind our back, and to the left is Tel Aviv, as hip a city as exists, anywhere.